Showing recent results 1021 - 1035 of 4490 products found. 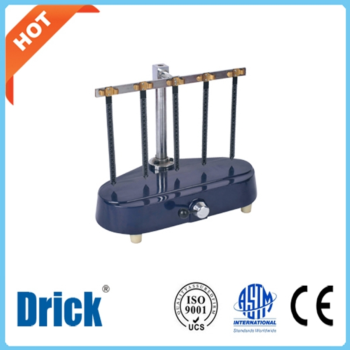 DRK110B - Shandong Drick Instruments Co., Ltd.
DRK110B Klemm Absorbency Tester is designed and manufactured according to all the technical parameters and technical requirements. 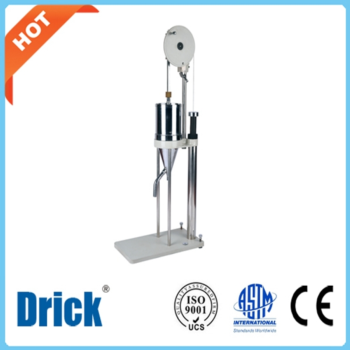 DRK116 - Shandong Drick Instruments Co., Ltd.
DRK116 Beating Pulp Tester is applied to test the filter ability of suspending pulp liquid. That is to say the determination of the beating degree. 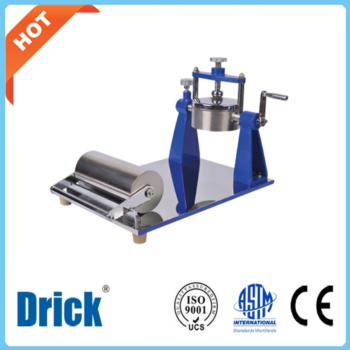 DRK110 - Shandong Drick Instruments Co., Ltd.
DRK110 Cobb Absorbency Tester is used to test the absorbency of paper and cardboard according to related standards. 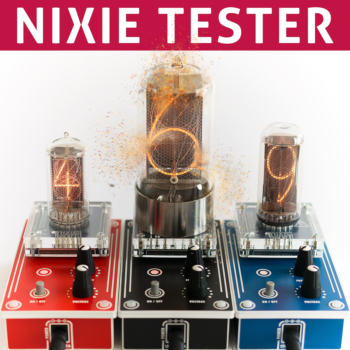 Universal Nixie Tester it's a simple handy device for testing nixie tubes and nixie tube drivers. The tester can implement simulate operating characteristic of protective circuit In addition capable of the VFTLP test. 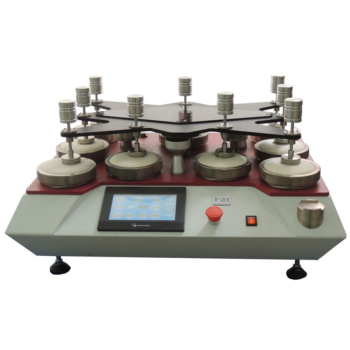 Manhole Impact Tester is used to test the impact performance of manhole base and manhole wall. 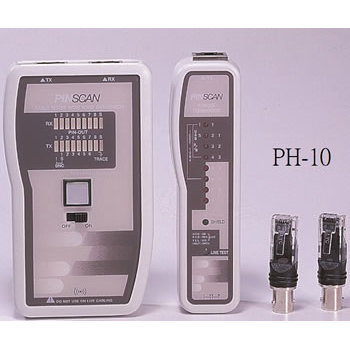 The PINSCAN Cable Tester with Tone Generator is a helpful companion for any network professional. It combines the functions of an easy-to-use cable tester with a built-in tone generator. The tester enhances one’s ability to quickly locate and verify the status of commonly used voice and data cables. The PINSCAN performs loop-back and remote tests for continuity, opens, shorts, miswires, and pin-to-pin configuration. It also generates a low emission frequency tone. When coupled with NET PROBE (PR-06P) or any other compatible tone tracer, the tone can help a technician to quickly isolate and locate the cable being tested without manually tagging it. 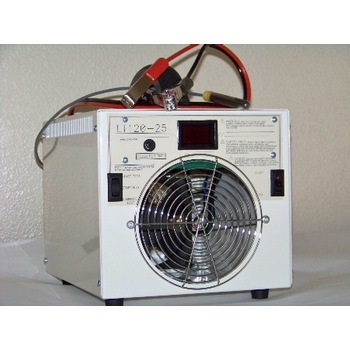 725 - Electronic Specialties Inc.
48V,36V Dual Voltage and 36V,24V Dual Voltage testers. 24V 100A tester. Battery Discharge Testers and Battery Capacity Analyzers for: Standby battery power packs, golf carts, floor machines/ sweepers/ scrubbers, battery powered electric tuggers for aircraft, battery powered aerial work platforms, recreational vehicle battery packs, marine trolling motor batteries, electric boat batteries, renewable energy batteries, solar battery packs, military electrical vehicles, electric wheel chairs, battery powered advertising sign lighting, battery powered ground transportation, battery powered lighting, battery powered mining machinery, deep cycle battery testing. CCTV Security Tester is a kind of multi-function test tool for CCTV and security camera installation professionals. CCTV Camera Tester is developed aiming to CCTV security system installation and maintenance, combining the following function: Optical Fiber Communication test, low power circuit test, video test and PTZ control, and DC12 1A output for camera test, etc. 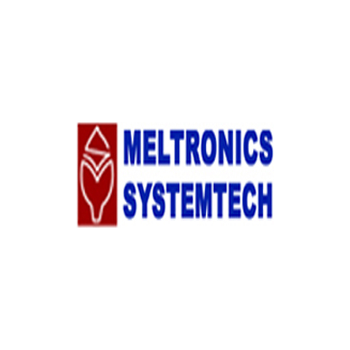 Helps solving varies problem of security system. It could be also used in laboratory tests, equipment maintenance, etc. CCTV Tester is really an ideal multi-function instrument for CCTV Security System, Optical Fiberal Communication, CATV and other optical fiber networks. PSS LRU Test Set is used to test the RWR (Radar Warning Receiver) system by simulating the input signals and testing the output signals. The Continuous Wave Repeater Tester is a computer controlled system used to test the CW unit electronics and its module. The RF tester is a computer controlled system used to test the RF unit, Logic Unit (ECM) and its modules. Dual High Voltage Power Supply Tester used to test and service the dual high power voltage supply units. High power in the range of 4KV to 11KV can be tested. The ATSI SST-450 Surge Suppressor Tester is designed to quickly and easily test all commonly used transient voltage suppressors: metal-oxide varistors (MOVs), gas-discharge tubes (GDTs), silicon avalanche diodes (SADs), thyristor surge protective devices (TSPDs), and hybrid devices. 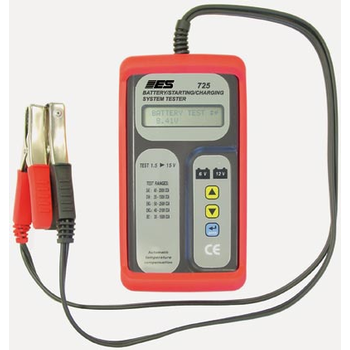 The tester''''s 1mA DC current source up to 1000 volts has both peak and average-reading detection to provide complete test parameters for both crowbar and clamp devices. Measurements are displayed with a 0.1V resolution. 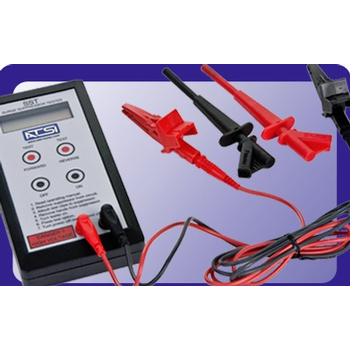 The tester is capable of testing suppressors with a filtering capacitor up to 200uF. An adapter box is also available for plug-in style suppressors. 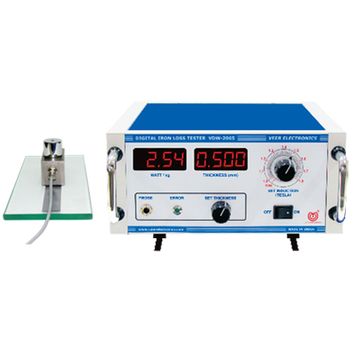 GJ6900 series Bench-top Insertion/Return Loss Testing Meter provides a high reliable and stable performance. It is a multi-functional optical testing meter which is integrated with dual-wavelength stable laser source, optical power meter, insertion loss tester and return loss tester. This testing meter can output 1310nm and 1550nm stable lasers when used as an optical laser source. As an optical power meter, it can measure the optical power at the wavelengths of 850nm, 1300nm, 1310nm, 1490nm, 1550nm and 1625nm. 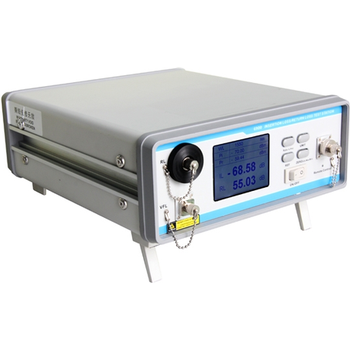 As a loss tester, it can detect both insertion loss and return loss at the wavelengths of 1310nm and 1550nm.This testing meter is suitable for optical communication project as well as the research and manufacturing of optical active and passive components. TF210 - TESTEX Testing Equipment Systems Ltd.
Martindale Abrasion and Pilling Tester. To determine the abrasion and pilling resistance of all kinds of textile structures. Samples are rubbed against known abrasives at low pressures and in continuously changing directions. The amount of abrasion or pilling is compared against standard parameters.The unique design of our Martindale tester allows removal of individual sample holders for examination without lifting the top motion plate. It provides individual counters and parking function, interval time settable and a large touch-screen display. Standard sample holders and 9 and 12kpa Weights are included.Our Martindale Tester is available with 4, 6, 8 or 9 test positions.